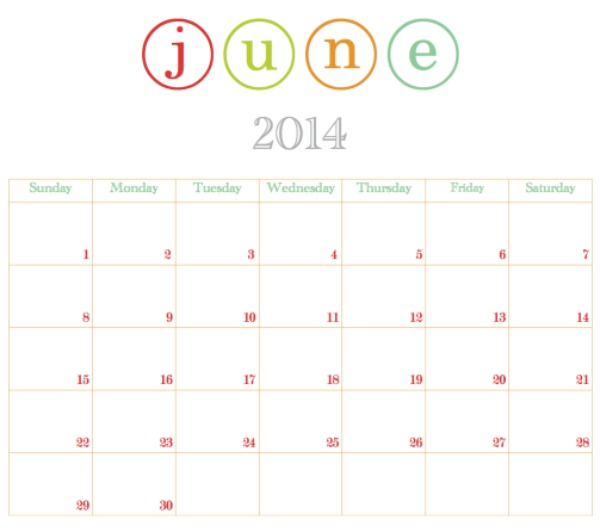 I know we're a few days into June, but if you're like me it takes a day or two to remember the month has changed. So, for me this printable is right on schedule. Nothing fancy, just a simple calendar for you to print out, and keep track of what day it is. Is it just me, or does anyone else have a really hard time remembering what day of the week it is once summer hits? The days just seem to run together. I've printed out a few copies of this calendar and have put them in a few different places to aid my forgetfulness.